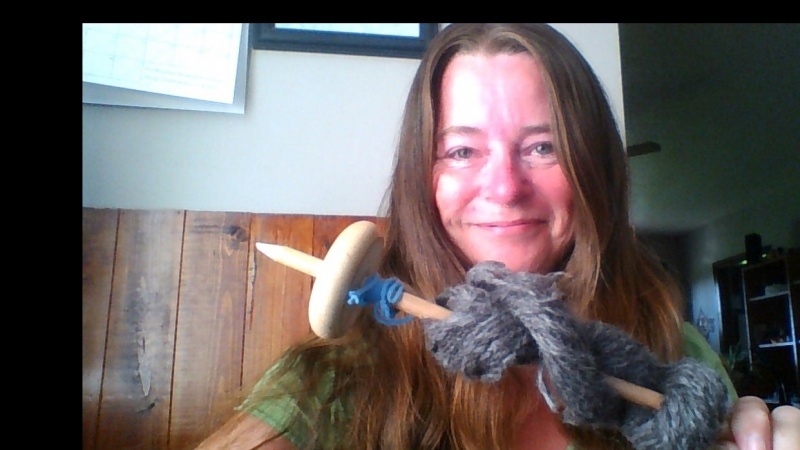 I have published my first class entitled Learn to Spin Your Own Yarn. It walks students through the process of making their own spindle, as well as the steps of creating the yarn, start to finish. I have marketed on Facebook and Twitter, plus have linked to the class from my blog. I also have linked to my class from my Etsy Shop description. My next step will be to link to my class in my yarn listings on Etsy, so shoppers can see how easy it is to make their own. Yes, it may cut down on the yarn sales, but it may also give me more student enrollments, which is the goal. I have added the free enrollment link to a Small Farm and Sustainability Group I belong to, which has over 80k members. I have added a screenshot of my post.